Picture above copyright of B.Hilton; showing Thrumpton in its untouched state. Even though Thrumpton is still in situe, and this site is dedicated to old abolished signalboxes, this box has undergone a very rare transformation. 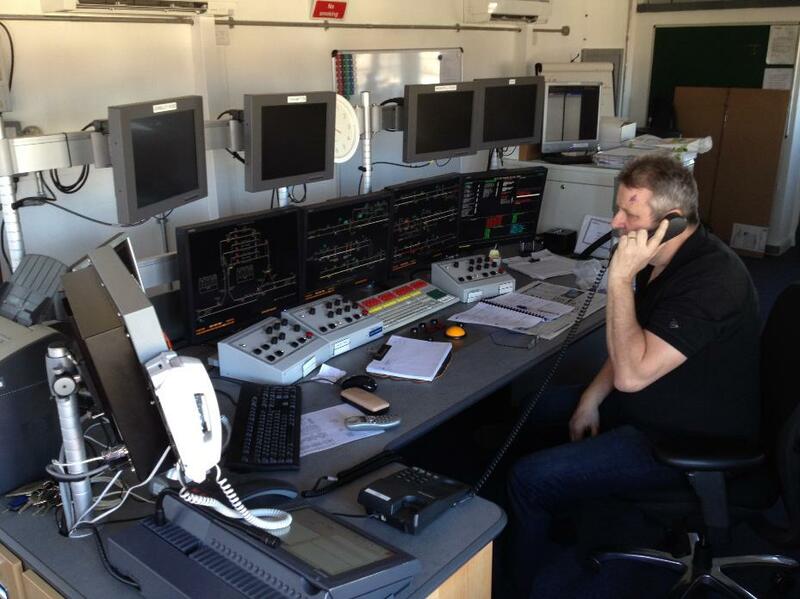 Usually when an area is resignalled with a complex and sophisticated signalling system, in this case a £16million Westcad system, the signalbox is usually closed and the control relocated elsewhere. Thrumpton has survived this although very narrowly! This will be Thrumpton's second 'modern' upgrade since the removal of its mechanical frame. When the signalling upgrade was first planned, Network Rail wanted to build a multi purpose signalling centre next to the station at Retford. The plans were drawn up and approved. Unfortunately when it was sent to the local council planning committee, Network Rail found out that they had sold the land to the council some years before! After a search around the local area, Network Rail found that there was no other suitable place, it was decided that Thrumpton would remain in place and would retain control. For now anyway. 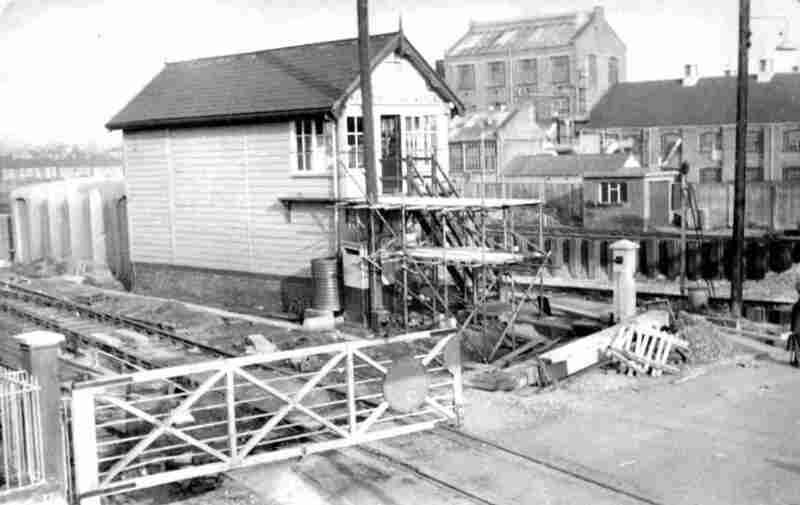 This picture shows its first major transformation in 1965 when the lever frame was removed and fitted with a very modern (at the time) 'NX' panel; (colourlight and electric signalling, which included level crossing barriers). And this is that panel. Controlling the area from Gainsborough to Worksop with connections to the ECML (known back then as the GN or Great Northern), and also to Cottam power station. Just a small amount of levers in the background controlling the signalling whilst it is installed. 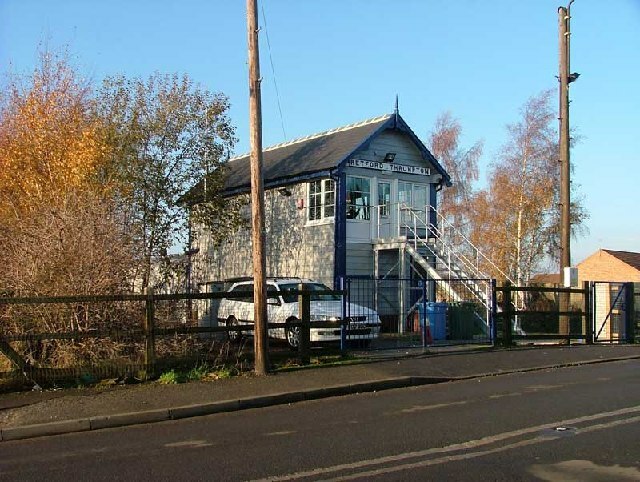 It would see the closure of several signalboxes; (see the 'building of the dive-under' page for more information). Trevor Porter on duty at Thrumpton in 2004. 29th of September 2013 and Thrumpton old signalbox is no more. Its the end of the NX panel and nearly 50 years of signalling. 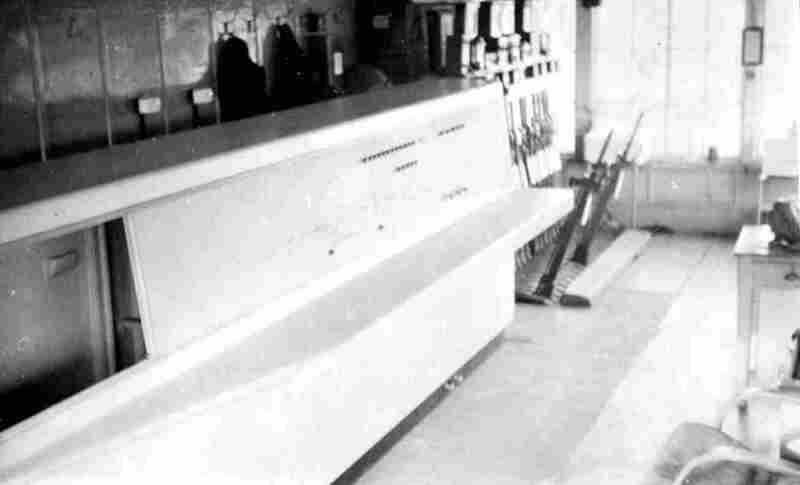 The panel is shown powered down and partially stripped. This time it would see the closure of only one signalbox; West Burton. And here it is, Thrumpton's new signalling system, two weeks after installation (February 2014) from a temporary cabin above the new relay room next door. 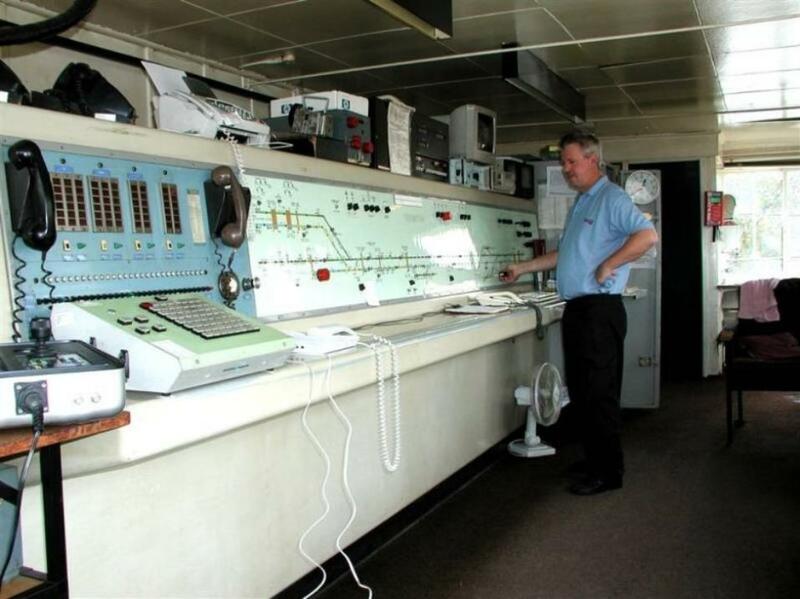 Pictured is signaller Terry Ogley getting to grips with the new controls! It is controlled using the State-of-the-art Westcad LCD signalling system. Basically all the signalling is now operated with the yellow tracker ball and a few buttons by moving the cursor around on the screen, choosing a signal or set of points and clicking a button to set them up. The signalling on the ground is operated by SSI (Solid State Interlocking) which is controlled by a two core datalink cable and thus removing the need for multiple and costly multicore cables. The whole signalling system is backed up and duplicated and everything is logged and recorded to aid fault finding and investigating possible alleged incidents. The train register is no longer used for recording trains and is there purely for the logging of line blockages, T3 possessions and other operational reasons. At the trackside, signals are now the new Dorman long life LED type mounted on poles that no longer have ladders or hoods and are lowered using a hydraulic clamp which enables access for repair/replacement only. The signals are maintenance free with self cleaning fronts and can display multiple aspects through one lens. A second 'top yellow' is mounted above for signals that need to display an additional two yellows. Position light and shunting signals are also LED long life, with a life expectancy of between 15-25 years. The fourth screen on the right is the monitoring screen which displays the signalling vital signs, data links and any alarms. 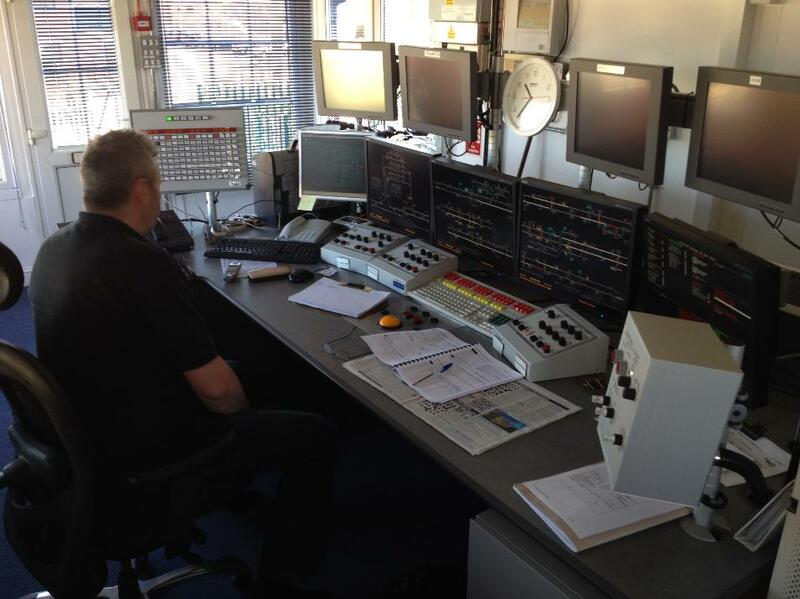 The small white unit to the right of that is the controls for the Westcad system, power and signalbox in/out switch. The other three bottom screens are for the signalling, the top three screens are for the three level crossing CCTV's, the multi button panel on the left (with the phone attached) is all the phones at the signals, points and level crossings (known as the 'concentrator') and the final screen which is next to the concentrator is the 'TRUST' system, this shows the signaller the train running information like time of arrival, departure, destination, what the trains are carrying etc. The signaller also inputs the time the trains arrive/pass to let route control know where they are and if they are running to time and in the case of passenger trains, this information is relayed back to the arrival/departure screens at the stations.